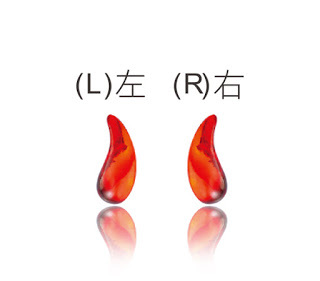 Jewelry businessmen often take these alternatives Huyou people, pro who must be long heart slightly! - Hwatien Enterprise CO.,LTD. Jewelry businessmen often take these alternatives Huyou people, pro who must be long heart slightly! Diamonds and women's relationship is always intriguing, diamonds can be against the woman's gorgeous, but also know the secret of a woman's heart, a woman because of diamonds and moving, diamonds because of women and more dazzling. It is a woman's life close friend, against each other close to each other. Even the international actress Michelle Reis, Zhang Ziyi, Shu Qi, are the true love of diamonds, whether it is daily or attend the activities are inseparable from its embellishment. Diamond forever, one can be a woman pet days. 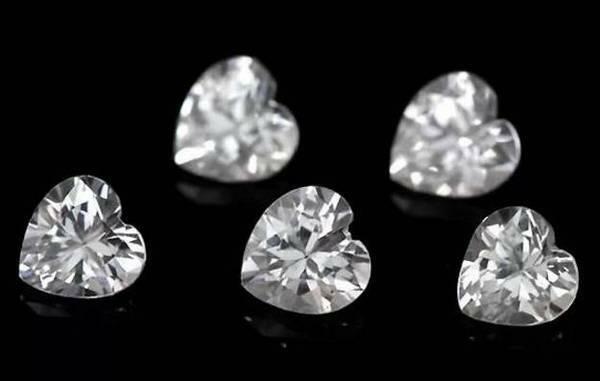 Because of the noble value of the diamond, countless counterfeiters attempt to replace it, in the pursuit of diamonds at the same time, we must slow down the footsteps to take a closer look. These diamonds alternatives, although there are some bright and gorgeous gems worthy of appreciation, but their value is far less than diamonds, when buying, please be sure to distinguish. 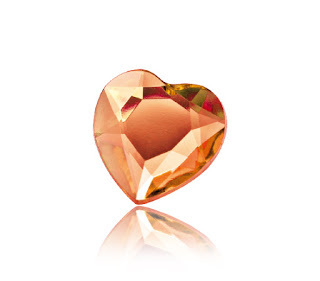 Zircon is a semi-precious stone and is the most common alternative to diamonds. Zircon also has a natural, called hyacinth, is very rare, you can buy to wear, there is a certain collection value. 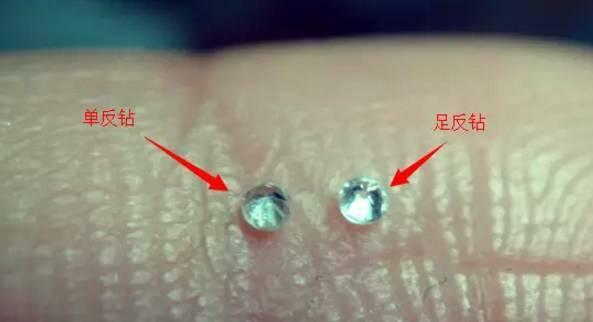 But the synthetic zircon, or the quality of the more poor zircon not only has no value, and easy to cause harm to the human body. Many unscrupulous businesses in the jewelry mosaic and product replacement, the choice of artificial zircon, rather than natural zircon, greatly reducing the cost, in order to deceive some consumers do not understand, to deceive customers. 1, zircon than diamonds the proportion of large, so the same size of diamonds and zircon compared to zircon to be relatively heavy. 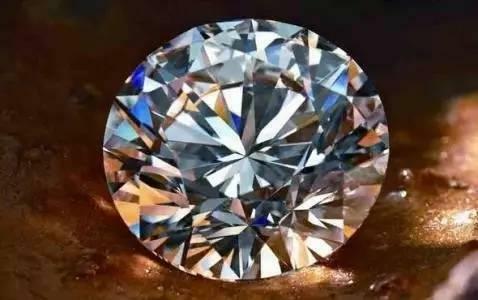 2, the hardness of diamonds among all gems is the largest, so other jewels if you want to draw on the diamond can not do it. 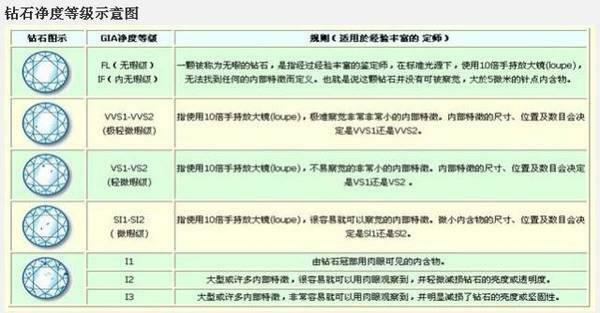 Zircon hardness is only 8, if the diamond or corundum (hardness of 9) in the zircon surface, there will be scratches. 3, from the table to see the pavilion to see the zircon has a double shadow phenomenon, that is, natural light through the zircon will be refracted to different directions. The diamond will not have the phenomenon of double shadow. White sapphires, white corundum, are of the same nature as rubies and sapphires except for colors, but white is a relatively low value of sapphire groups that are often used to impersonate diamonds. 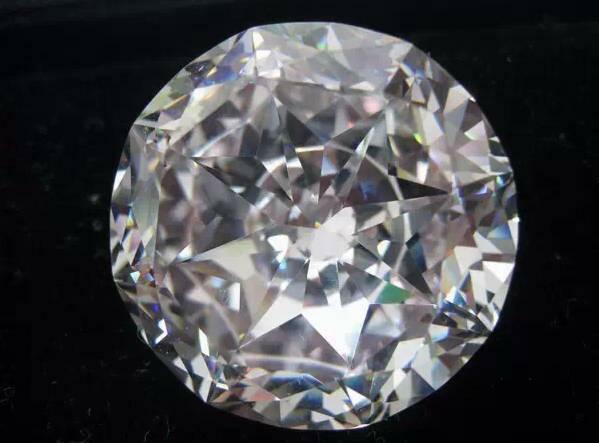 White sapphire inclusions and diamonds are different, and shiny dim, almost no diamond as colorful neon fire color, it is relatively easy to distinguish. Mo Sang stone, not natural heavenly, but a kind of from the meteorite extracted from the silicon carbide minerals, high hardness, to 9.25, very close to the hardness of the diamond itself. Moreover, the advantages of Mozambique is a diamond-like fire color. The naked eye to distinguish Mozartite and diamonds, in addition to Mozambique than diamonds hardness slightly worse, there is a basis is the fire of Mozambique, from the top of the booth can see the vaguely green. 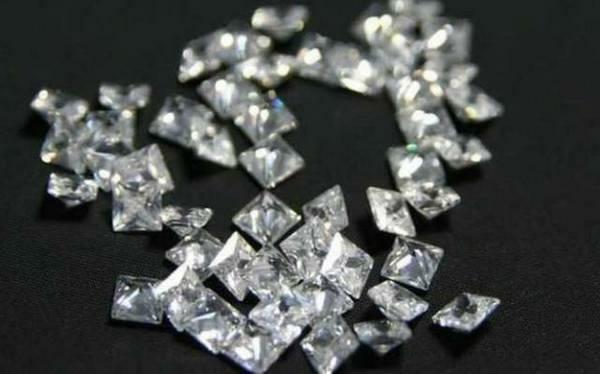 Diamonds and stones look very similar, but the difference between the two is very large. Rhinestones are just imitation of diamonds, not diamonds. The main ingredient of the diamond is crystal glass, is the natural crystal glass cut into diamond carved get an ornament accessories. 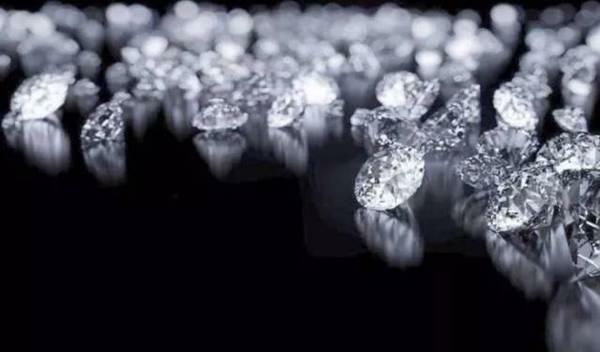 This material visual effects on the diamond-like dazzling feeling, so often considered to be diamonds, as its alternatives. The easiest way to distinguish between stones and diamonds is to find a piece of glass, with a diamond dash, there will be obvious scratches, and the diamond will not have scratches. Diamonds are the same as any gem, and the purchase is all 4c standard. 4c refers to the weight, color, clarity and cut. 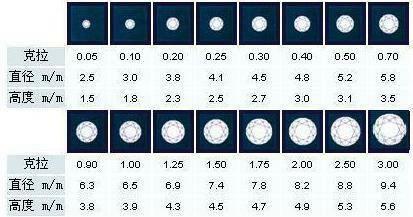 Diamonds are carat (ct), 1 carat is equal to 0.2 grams, one carat is equal to 100 points. 50 points, 30 points of the diamond is actually 0.5ct, 0.3ct. The higher the carat, the higher the price. Take ordinary white diamond, the color must be transparent and colorless for the best, with some yellowish tone, will affect the price of diamonds. Diamond color level, D highest, Z minimum. The higher the clarity of the diamond, the more flawless, the higher the price. But also to replace the letter, FL represents no time level. Cut the diamond fire color has a very big impact, directly determine the diamond ring worn in the hand flash flash. If you want to sort the diamond several standards, the proposal is the weight> color> cut> clarity. A lot of friends in the grid to find the main mosaic or custom, have repeatedly asked me such a question - with the drill is anti-drill or anti-drill drill? Let's take a look at the difference between the two diamonds. SLR drill because the cutting surface is relatively small, low refractive index. Foot anti-drill cutting surface quantity is reasonable, can fully reflect the light. When the SLR drill with the foot anti-drill together, you can clearly find that the resistance of the SLR drill color times in the foot anti-drilling. Mosaic in jewelry, SLR drill dull, affect the appearance of jewelry. SLR drill cutting less, easy to polish, the process requirements are relatively simple. Foot anti-drill cutting surface, the process is more complex.